This recipe calls for Italian sausage, I used turkey sausage. While browning, I crumbled some of the sausage but left some in little slices/chunks. 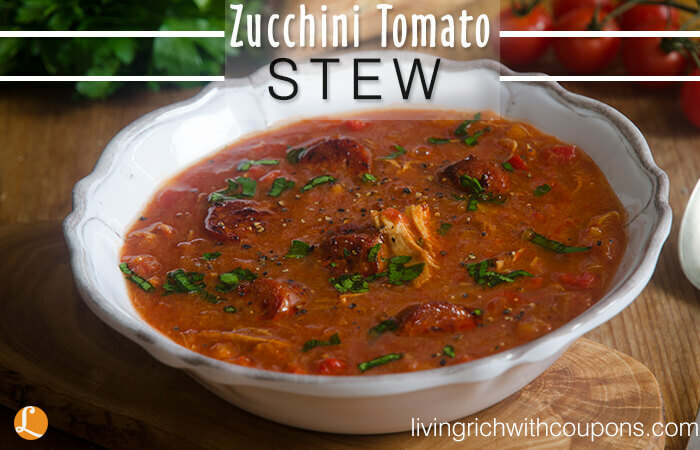 I shredded the zucchini and by the time the stew was ready to serve there was no visible trace of any zucchini; I love hiding those vegetables! 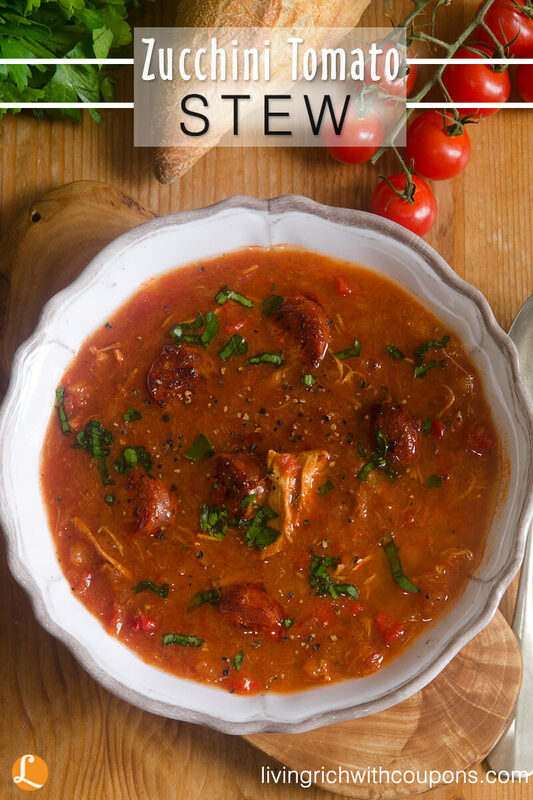 The recipe says you can use fresh tomatoes and tomato juice or use canned diced tomatoes. I did a little bit of both. I had some tomatoes from my garden which I had frozen, so I used them, along with some tomato juice that we had canned, then threw in a small can of diced tomatoes. Anyway, this was good and warmed us up on a cold night. I hope you like it also. 1. Brown sausage, crumble some, leave some in chunks or slices. Drain. 2. Return sausage to pot and add celery, cook for 5 mins. Add tomatoes, tomato juice (if using), garlic and seasonings, bring to boil. Reduce heat, cover and simmer for 20 mins. 3. Add chopped peppers and corn. Simmer for 20 mins. 4. Combine cornstarch and water. Stir into stew. Cook until mixture thickens. Sprinkle with parsley and serve. Nice served with crusty Italian or French bread. * you can substitute two 28 oz. cans of diced undrained tomatoes instead of the fresh tomatoes and juice. The Big One Bath Towels as low as $2.19 Shipped!